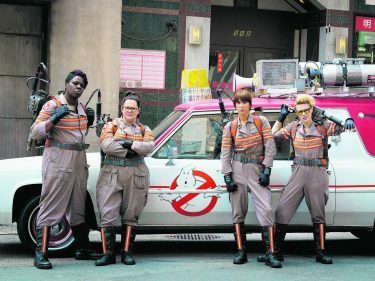 Of the speculation over his decision to cast four comic female leads – Melissa McCarthy, Kristen Wiig, Kate McKinnon and Leslie Jones – the 53-year-old admits he’s frustrated that “every time you star women in a movie it becomes the story”. “It just shows how far behind the times Hollywood has gotten,” exclaims Feig, who also helmed 2011 hit Bridesmaids. “I almost don’t blame audiences, because they only react to what they’ve been fed. I think the fact they haven’t seen a lot of movies starring women is Hollywood’s fault, and I just hope we can get past it being an issue. But out of Feig’s dream team, who you gonna call? 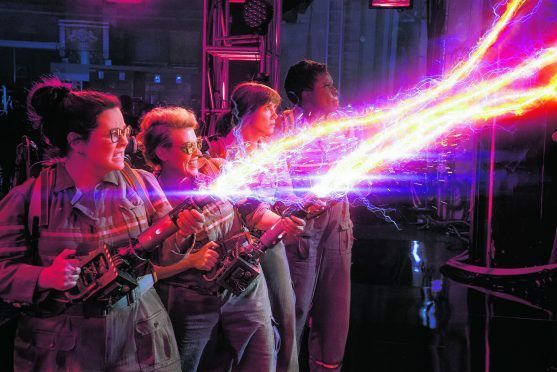 Reteaming with Feig for the fourth time (previous collaborations include Bridesmaids, The Heat and Spy), Melissa McCarthy takes on the role of Abby, a scientist with a passion for all things paranormal. The mother-of-two says the female-led cast “felt right”. Adding to the enjoyment is Thor hunk Chris Hemsworth, who plays the Ghostbusters’ dim-witted receptionist, Kevin. Like Abby, Wiig’s character Erin believed in ghosts as a child, but as her physics career grew, she realised her fascination with the paranormal was holding her back and hurting her credibility. “Erin wanted to live a life where she wasn’t the weird one, so she left the paranormal world behind and went into academia, becoming a professor at Columbia University,” reveals Wiig. “She finds Abby again and meets Holtzmann and Patty. As it turns out, they’re these four misfits that find each other. “I love that kind of story,” she adds, beaming. McKinnon’s character, referred to as Holtzmann, has always been an oddball. She describes her character “a genius”. “She’s the tech geek in all of this, which is usually the geekiest geek. She is in charge of perfecting the machinery that allows them to accomplish this mission. She is an essential creature. She’s bizarre, she’s freakish, she’s full of joy. She is me! Patty, who was born and raised in New York, is an avid reader when it comes to all things historical and paranormal. But the Saturday Night Live star confesses being cast in the big-screen reboot still feels surreal. “I keep thinking I’m going to wake up in my apartment in Santa Clarita, where I was before everything happened, and go, ‘Seriously, that was a great dream’,” she jokes. 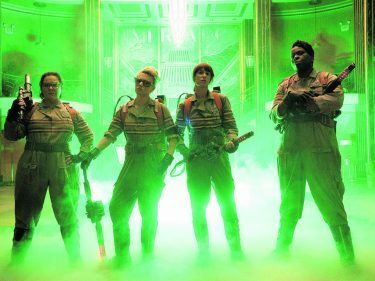 Ghostbusters opens in cinemas on Monday.